#IDARB, by Other Ocean and the people of the Internet. #IDARB is free via Xbox Live Games with Gold on the Xbox One. What's #IDARB? Thanks for asking, non-existant question person. It's an off the wall "sports" like game that involves magic. You play trying to score the ball in the opposing team's goal. You can carry the ball, throw the ball, or use some sort of repulse field (magic) to eject the ball from your immediate vicinity. Pretty crazy. And quite entertaining. It's a face paced, low thought game. I really enjoy the core mechanics, although I do wish some other features were already available. You can play as a single player against a bot, which is definitely a plus, but you can't do that as a team of 2. I don't know why bot fighting isn't available as a co-op team, but I hope it's added at some point. You can play 1 vs 1 locally, so I approve of the availability of the local options (and you can actually also play 2 vs 0 with 2 humans locally, but that game type loses it's humor fast). There's online multiplayer as well, and while playing a 2 vs 2 match we absolutely destroyed our opponents (to the point I felt very sorry for doing so) and it was quite enjoyable. I don't know how enjoyable it would if the strange #IDARB shoe was on the other strange #IDARB foot, but as it was I highly recommend it. I really like the stance this developer has taken. They really respect their audience, and this game has really been a group sourced effort. I have high hopes for where this game might be headed in the future if this kind of crowd-development continues. I highly recommend this game to anyone who likes sports games, old style retro games, and a zany fun time for a little while. I don't think you need to play it for more than about an hour if you don't love it, but if you then you could probably get double digits worth of hourly fun out it. If you don't like zany, this game will probably give you an ulcer. 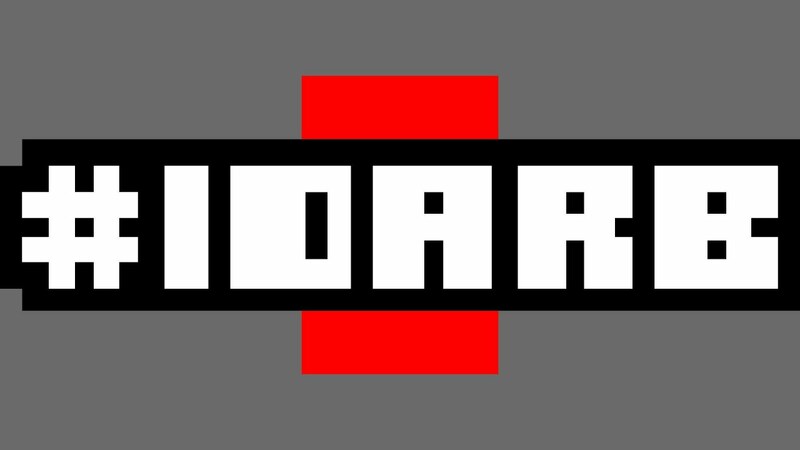 Let me know what you think of #IDARB!